Groups: Having students work in cooperative groups promotes a caring community. 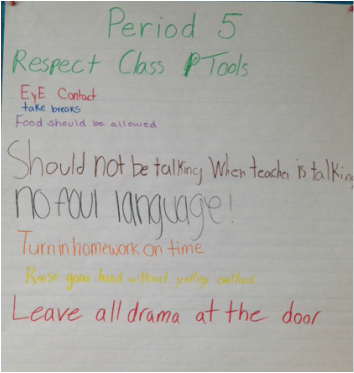 At the very beginning of the year students will practice being respectful comm﻿unicators (Villa, Thousand, & Nevin, 2010). 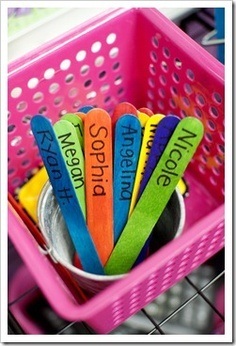 Learning Names: I think it is important for not only me to learn students names, but for students to learn each other’s names too. During the first week of school we will play name games to help us learn names. Routine: I will create a routine so students will know what is expected of them and how to preform daily tasks (Villa, Thousand, & Nevin, 2010). Class Meetings: Students will discuss appropriate behavior and consequences when students do not behave appropriately (Villa, Thousand, & Nevin, 2010). Build Trust: Let students know they can trust me for “support, understanding, and affection” (Brendtro, Brokenleg, & Bockern, 2002). Brendtro, Larry K., Brokenleg, Martin, & Bockern, Steve Van. (2002). Reclaiming Youth at Risk: Our Hope for the Future. Bloomington, IN: Solution Tree.